Fun Facts From History: Did You Know Three Presidents Have Filed Bankruptcy? Did you know Thomas Jefferson filed bankruptcy more than once? For those struggling with debt, it can feel overwhelming, embarrassing and frustrating. It can depress you to the point your health suffers. You may think that insolvency means you've done something wrong or have failed in some way. But this is simply not true. Most bankruptcy filers end up deep in debt because of a major life event like a divorce, major accident, significant illness or prolonged unemployment. And, you probably don't know this, but three US presidents have looked to bankruptcy to get them out of debt – and those are leaders of the free world! Yes, the man that penned the Declaration of Independence and is known as a Founding Father went bankrupt, not just once, but several times over the course of his life. Although he had substantial lands in Virginia, farming wasn't subsidized back then and didn't always generate a lot of income. 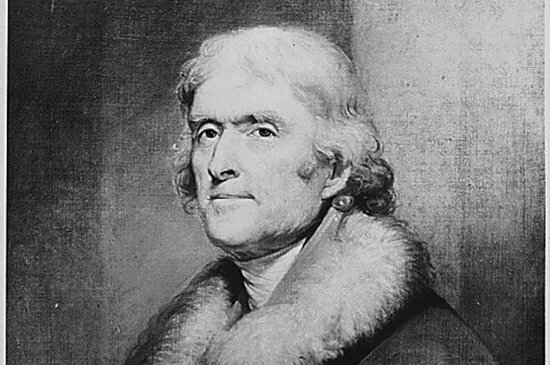 Jefferson inherited debts from his father that he struggled to pay and made bad investment choices. To top it off, Jefferson also had expensive tastes that he indulged on credit. He filed bankruptcy before he served as President, then again after he got out. By the end of his life, he was nearly destitute. Despite this, Jefferson was a great man, a great leader and an important force for good in our country. He didn't let his debt define him and neither should you. McKinley is known primarily as the US President who was assassinated, but he accomplished quite a lot in office, including overseeing the victory in the Spanish-American War, protecting American manufacturing and industry from foreign competition and fighting back inflation by maintaining the gold standard. He was also personally financially responsible for most of his life. His bankruptcy occurred three years before he became President while he was serving as governor of Ohio. McKinley had invested in a tin plate company that was hard hit by the depression of 1893 and left him with losses totaling $130,000, which in current dollars is $3.4 million in debt. This is a perfect example of how one financial hiccup can lead to insolvency that can be relieved by bankruptcy. Known as the leader of the Union Army during the Civil War, Grant went on to become our 18th President. After he left office, he and his wife went on a lavish world tour that left him with little money and he never had much to start with since, back in the day, even being a General in the US Army didn't pay that well. If that wasn't bad enough, he also made a devastatingly bad investment. His son talked him into investing $100k in a firm that turned out to be disreputable. Unaware of the questionable goings on, Grant borrowed another $150k to try and help the firm stay afloat, but it failed. The shady business partner went to jail and Grant was left bankrupt. He gave his Civil War mementos to the friend he borrowed from and wrote and sold his memoirs on his deathbed so he could leave his family a bequest. The attorneys and staff at the law offices of John T. Orcutt hope you have a happy and safe July 4th and that you enjoyed our look back at history to celebrate Independence Day. If you're looking for a solution to your debt dilemma, we can help. Contact us now for a free consultation.